A few weeks ago, I had the opportunity to check out Barley Mow Brewing during #EpicTampaBreweryTour. You remember! Yesterday I saw two of their packaged cans for the first time in my Miami market so decided to give them a whirl. 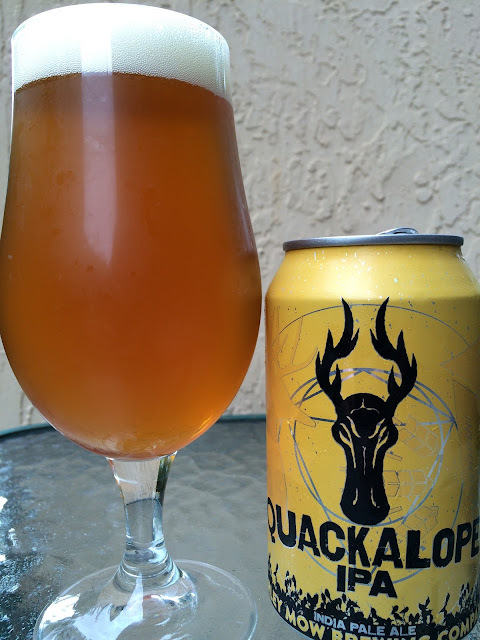 The first will be Quackalope IPA, one of the beers I actually tried in their tasting room. But remember, it was a small shared sample at our sixth brewery stop that day, so a full can today should be a fairer review. The front of the can depicts the elusive Quackalope while the back tells you about its lore.The tale of the Quackalope (we called it Snipe hunting where I come from) apparently inspired this 6.8%, 80 IBU IPA which pairs well with blackened seafood, Thai Cuisine (hope it's available in Bangkok when I go in April), and hunting! Big head. Bright orange citrus aroma with a hint of pine. Sweet orange and honey flavors come first. 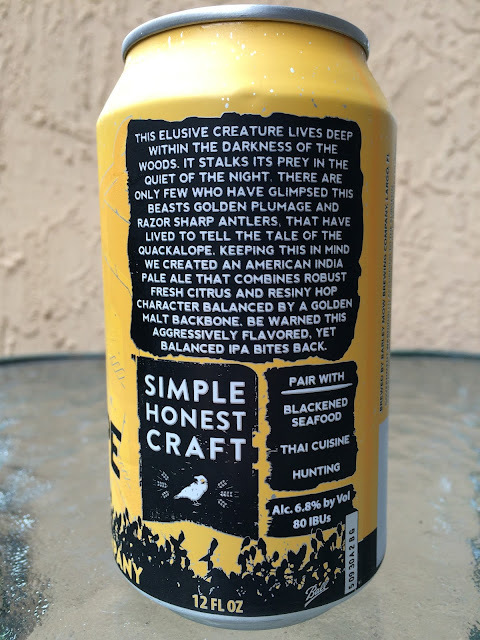 An aggressive bitterness then takes the lead, biting at the palate with a ton of citrus and pine flavor. Very hoppy, dank and resinous. However, although that bitterness becomes dominant, the beer never entirely loses its background sweetness. Resinous piney flavors are left behind after each sip. Check it out!